Scrappin' With Tammy: Happy Birthday, Kiana! 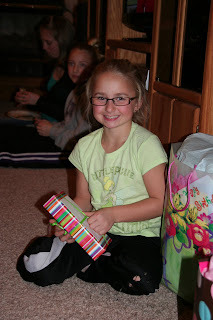 A very Happy Birthday today to my beautiful, crafty, spunky niece, Kiana! I am so glad that we got to spend an evening with you for your birthday last Saturday night. I sure hope you enjoyed your cake! See, Kiana wanted an ice cream cake and our Dairy Queen isn't open yet. Aunt Tammy to the rescue, I made one for her. It was yummy! 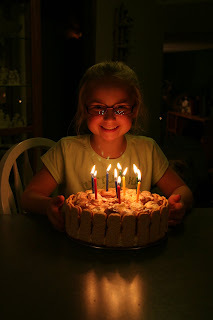 It's a good thing she blew all those candles out quickly as I think they were starting to melt the ice cream!! Awesome cake...... Is there anything you can't do? Happy Valentine's Day from Las Vegas! My wonderful Secret Sister gifts!